His Excellency Prime Minister Dr. Haider Al-Abadi has said that our success is through our cooperation and through it the world stands with us and helps us, but we should not allow for political differences to affect economic development. His Excellency has said during his attendance at the session of the parliament to discuss the financial budget: First of all and foremost, I salute the lives of the martyrs and the sacrifices of the wounded; I salute their families and salute the heroic fighters who continue to defend Iraq and maintain the great victory achieved. His Excellency has said "We are proud in our unity in fighting terrorism when the army, the police, the Popular Mobilization Units and the Peshmerga fought in one trench, as well as maintaining Iraq's unity." 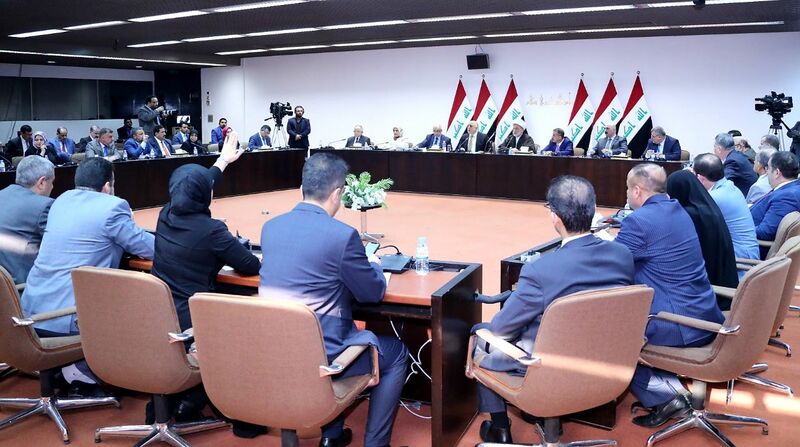 His Excellency has pointed out that the government has mentioned all the revenues in the budget, and if the Parliament wants to substitute, it is possible to discuss this, indicating that the government has increased the percentage of the social protection network to more than 60 percent despite the financial shortage in order to alleviate poverty. 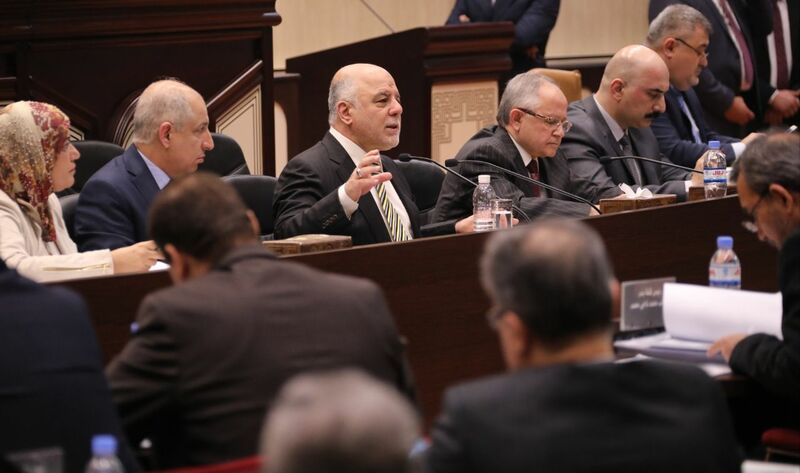 Dr. Haider Al-Abadi has pointed to the government's adoption of the principle of justice and population ratios on the share of the Kurdistan region in the budget. Regarding the IDP's, he has explained that the government is continuing to return the refugees voluntarily, providing services in their areas, and the Commission promised that it will provide the voter card for them.